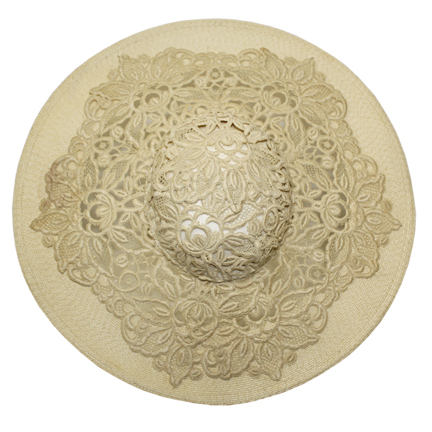 This off white embroidered lace sun hat with straw brim was worn by the character Eva / Evita Peron portrayed by legendary entertainer Madonna in the 1996 motion picture musical “Evita” starring Antonio Banderas and Jonathan Pryce. 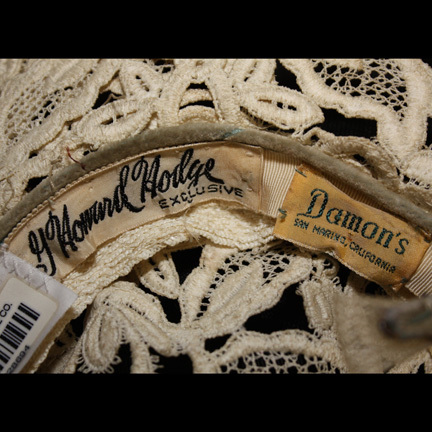 The hat is an original vintage design by famed milliner G. Howard Hodges and has an additional label added by Damon’s of San Marino, California. 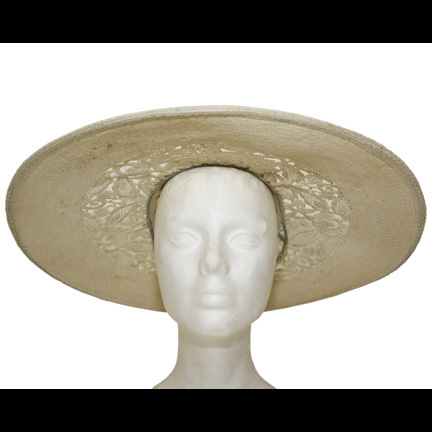 Madonna wore this hat onscreen during the musical number “Rainbow High” where Eva visits with some Argentinian peasants in the countryside shortly after her rise to power. 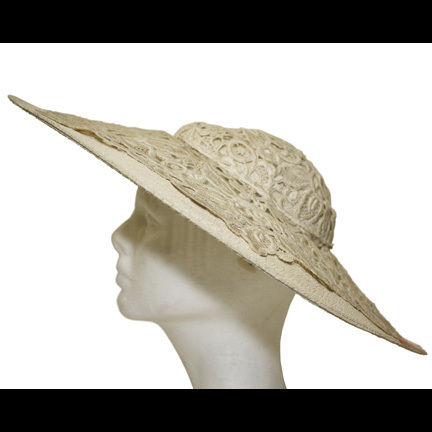 The hat is in good screen worn condition with minor evidence of age and is accompanied by a letter of authenticity from the costume house. Presented by The Golden Closet, your premiere source for screen used wardrobe, props, and music entertainment memorabilia.